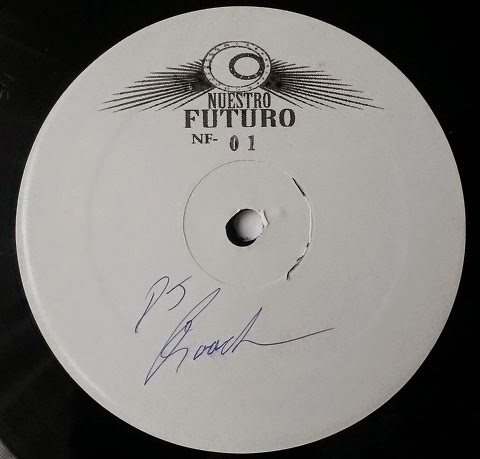 ‘This is our future’, told DJ Roach to the world when launched Nuestro Futuro, a new Detroit label distributed by Submerge. The debut turned out a good one and now, before the label’s next release, it is time for a late but vital addendum to the year 2013. The EP cannot have any better start than “My Riot”, a simple but efficient motorway take on UR’s harsh techno funk. Carelessly swinging “Yo No Se”, where filtered vocal sample is bitten by techno’s teeth, suggests to join a ‘muy caliente’ block party. Other tracks, “Festivas” and “Tec-Troit”, are more restrained but keep the percussive edge without any annoying droning. That all means impressive techno that would rather work in Panorama Bar than on Berghain’s main floor.